Anaheim, Calif. — MaxTrac Suspension has new 3.5-inch lift spindles for 2007-2013 Toyota Tundras. These spindles make the factory-raked 2WD Tundra’s front end an inch higher than its rear for a desert pre-runner look and/or to compensate for a heavy winch and bumper. The MaxTrac front spindles clear up to 33-inch-tall tires (minor fenderwell modifications might be required, depending on tire width and wheel backspacing). Made from cast ductile-iron, the one-piece MaxTrac spindles are engineered to maintain proper steering and alignment geometry. Track width is increased only one inch per side. The spindles are e-coated for a clean, durable finish that won’t rust. 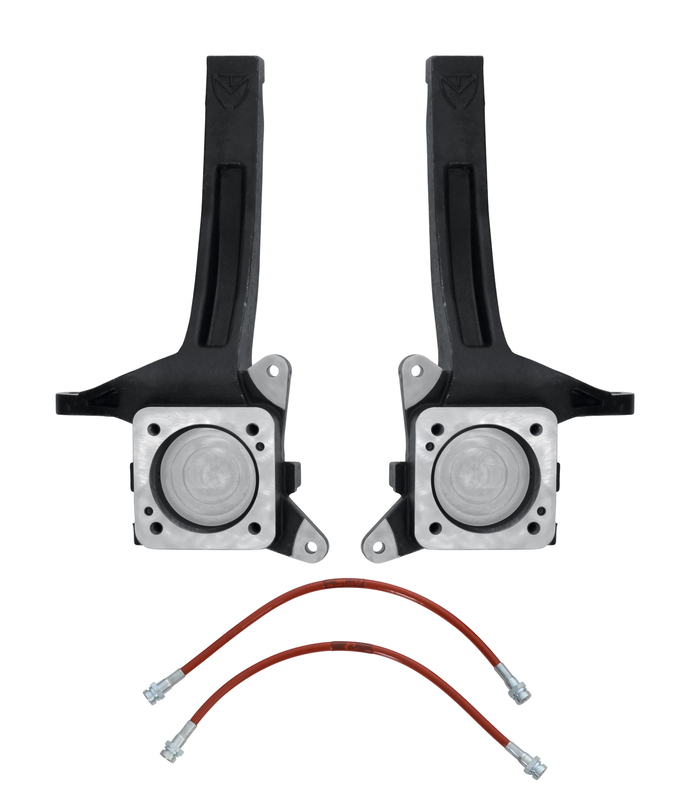 Extended-length braided-steel brake lines are included with the MaxTrac spindles. These lines are DOT-approved and Teflon-coated for longevity. 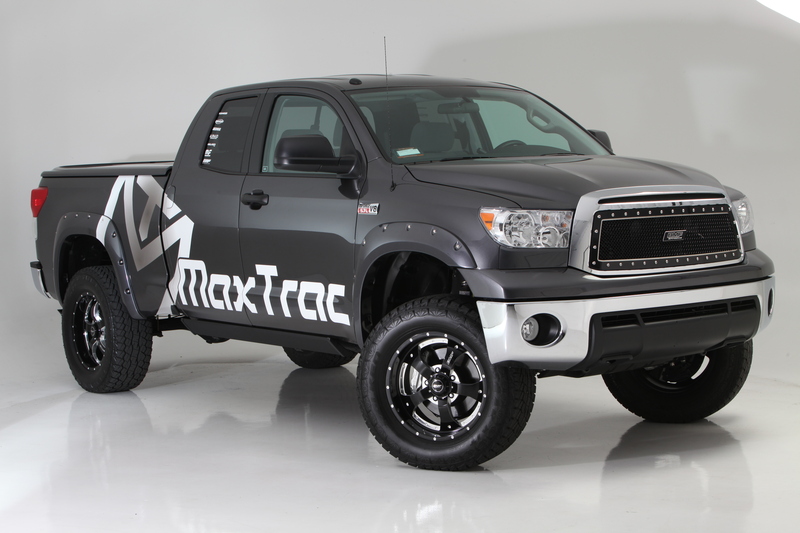 Optional MaxTrac components can be added to create an affordable Tundra 6-inch lift system. Front MaxTrac spacers mount on the OE struts to provide 2.5 inches of lift while maintaining factory ride quality. The strut spacers are 1.75 inches tall and are manufactured in the USA from laser-cut 1/4-inch-thick steel. They’re finished in durable gray powdercoat. To level the Tundra’s rear, MaxTrac offers fabricated 4-inch blocks. They’re gray-powdercoated and packaged with extended-length U-bolts. Combining all these MaxTrac Suspension components creates clearance for up to 35-inch-tall tires. (Minor fenderwell trimming might be required depending on tire/wheel dimensions.) Carrier-bearing spacers and brake-line relocation brackets are also available. All MaxTrac components are covered by a limited lifetime warranty. For more information, please contact MaxTrac Suspension, 4030 E. Leaverton Ct., Anaheim, CA 92807, 714-630-0363,www.maxtracsuspension.com, sales@maxtracsuspension.com.